RPES engaged MWD Web to tackle these and other issues. We rolled up our sleeves and put our web development wizardry to work. 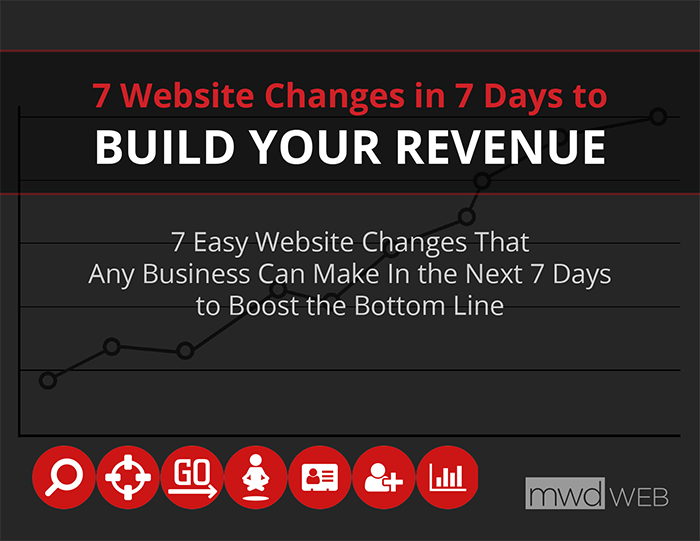 They had just spent a good chunk of change on building this new website, and the website overall was sound—it just needed refinements in several key areas. Rather than rebuilding the site completely, then, we worked within what they had just had built. Taking each complaint in turn, we addressed RPES's concerns to bring the website up to the level they needed it to be. After heavy revisions, the website was ready for prime time, portraying RockPile Energy as the multi-million dollar company they are. When it came to the home page video, we made the strategic choice to not show the video, and instead display the old static image, to mobile phones. We reasoned that visitors on a computer or tablet would most likely be connecting via their internet service provider, where bandwidth is not a concern; but we wanted to respect the visitors' cellular data plans, so here it was more proper to use an image that would take only a fraction of the data of a video. Fixes accomplished, RockPile went on to engage MWD Web to implement several new features as well over subsequent months. Perhaps the most impressive of these features is the integration of RPES’s third-party HR management tool directly onto the Careers page. 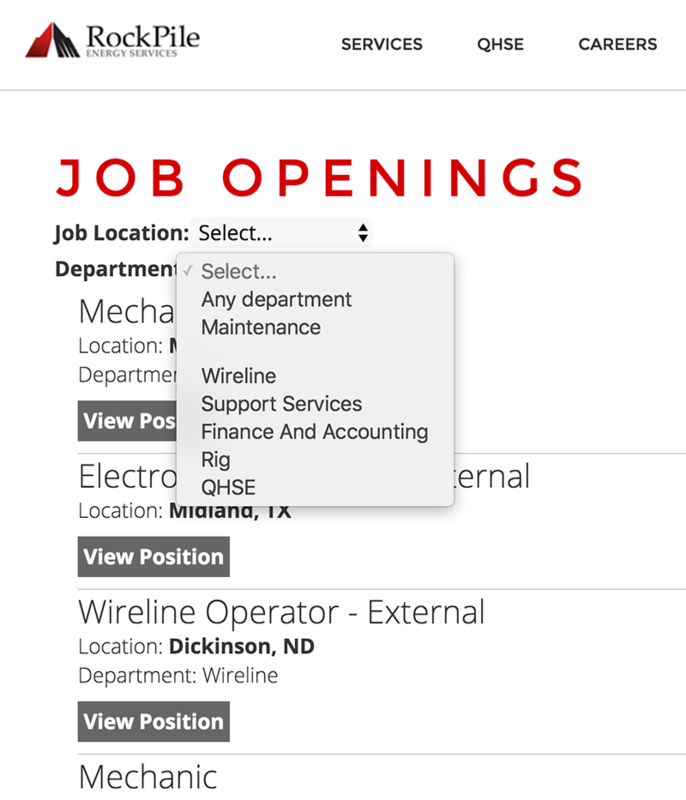 From here, job applicants can view all the available positions in a given category or location, and apply directly on the website. From RockPile’s standpoint, they can easily add positions and their Careers page updates in real time. In addition, RockPile enrolled in one of our Website Care Plans. With this service, RockPile ensures that their website keeps running, keeps engaging with their partners and staff, and keeps making money for the company. Since engaging MWD Web, RockPile has seen their website become a reliable tool for promoting their services and keeping their partners apprised of the latest news with the company. 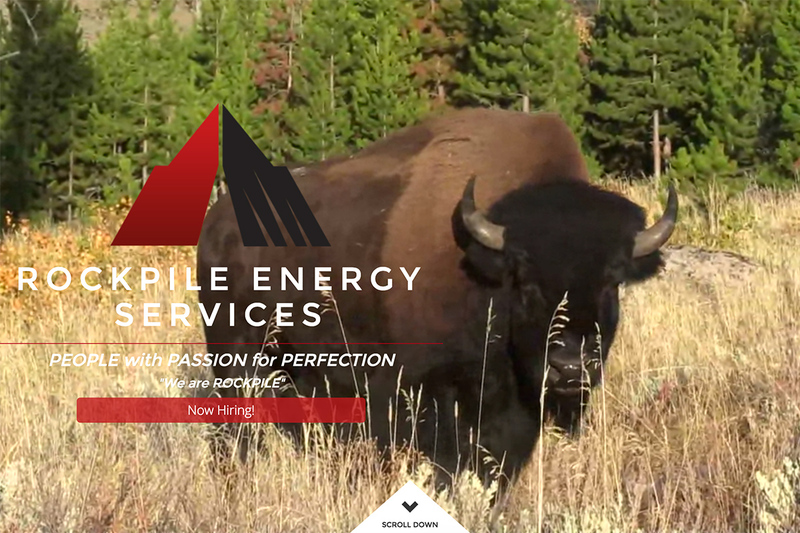 We at RockPile Energy Services have been working with MWD Web for several years. They have helped us build and maintain our site providing some unique solutions that others in the industry could not figure out. This is especially true when we wanted an active movie on our front page, they were the only one that could figure out how to make it work flawlessly. We are happy with their responsiveness and attention to technical details.